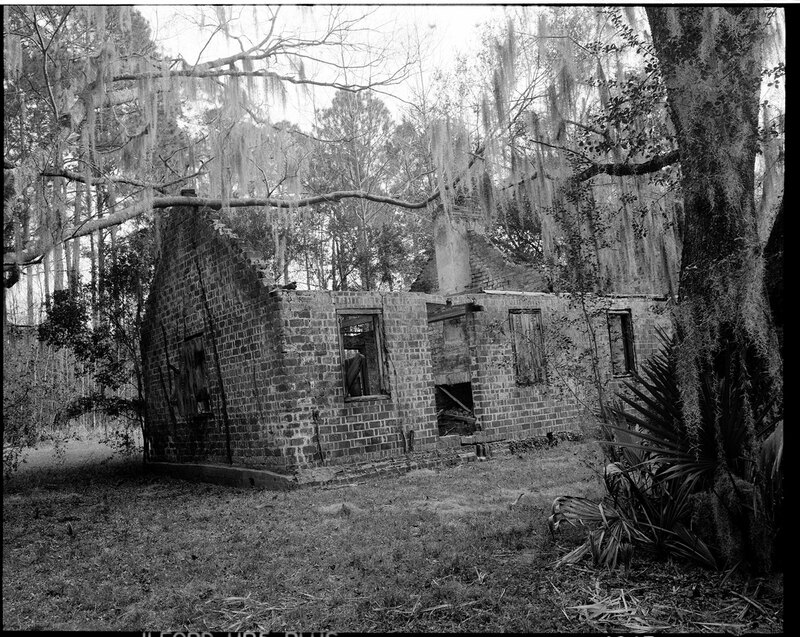 This picture is of an abandoned slave cabin along the banks of the Combahee River in South Carolina. This cabin sits on the land of a former slave plantation that fugitive slave Harriet Tubman raided in 1863, freeing over seven hundred slaves from the area. Before the Civil War, Tubman was one of the most fearless guides of the Underground Railroad, frequently returning to the South to lead slaves to freedom in the North. When war broke out, she accepted a commission as an officer in the Union Army, and led a Union boat up the Combahee, deep in the heart of the Confederacy. Word quickly spread on the huge rice plantations along both banks of the Combahee that freedom was near, and slaves rushed to the boat. Many of the men would soon join the Union troops and help finish the war. Original slave cabins are very rare in the South. Almost all of them have been torn down or destroyed over the years. So when I went to photograph the Combahee River in memory of Harriet Tubman’s historical raid, I was very happy to find this one, located on private property. I was told that the bricks structure meant its original owners had tried to build better housing for their slaves than the typical wooden shacks found on most plantations. Inside the cabin was an old desk and some trash. Families had been living here as late as the 1970’s.